We sell over 3500 varieties of flower and vegetable seed - many of which are rare, unusual and exotic. We ship globally for a cheap shipping charge. Shipping is free for orders over £60. With over 30 years experience and a complete satisfaction guarantee you can buy confidently from us. We sell this year's home-grown, fresh seeds, supplying the pick of our UK grown crop. We sell a large range of heritage and heirloom vegetables, including varieties of tomatoes, lettuce, beetroot, radish, melon and more. "My garden is full of beautiful plants which started off as seeds purchased from Plant World." "Thanks for your seeds. Thank you for the free gift. Fast, professional, accurate and generous." "Outstanding service! Ten days delivery to Tasmania: quarantine fully satisfied by your work. Couldn't ask for more. I'll be back again." "Thank you for your wonderful customer service and look forward to using your business again in the future." "You might like to know that I have never had any failures from the seeds or plants I have acquired from you - Thanks again!" 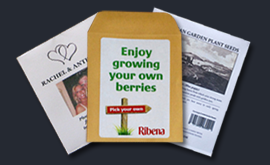 "I have had another fantastic year with your seeds – producing more than I need for my garden. The results have been sold for the local Heart Rehab and the Abbey. "